* All rates are inclusive of GST. nsta ebook is a law book which offers complete and updated information on various statutes electronically. All Insta ebooks have a provision linking relevant provisions and cross references for easy sustained reading. Insta ebooks allows the reader to open as many as two provisions at the same time by double clicking on the relevant provision. For which status is Insta ebook available? Insta e-Book is available for all India VAT, Central Sales Tax, Entry tax, profession Tax and Sales Tax Laws (prior to VAT implementation). It is also available for Service tax and complied Works contract tax reference. How to purchase Insta ebooks? Insta ebooks are available in electronic form and you can buy one or the complete collection by visiting the product section on Instavat.com after relevant payment. Once you make a payment you will be mailed a downloadable link on your email from where you can download the ebook to your computer. Can I purchase Insta eBooks as per my state preference? Yes, you are free to pick and choose any ebooks you may need as per your state, commodity in question or other relevant taxation statues. You can also choose to buy the whole book set including tax details on all 28 states and union territories for multiple commodities. Do I need any additional details for the relevant tax apart from the Insta ebook? You do not need any other data to access the relevant tax status for your selected eBook. All Insta ebook users can search relevant provisions in the act, rules, notifications and circulars in one click. Is it possible to make notes while I read the Insta Ebook? Yes, users can make notes against the relevant provisions while reading and save for future reference. As displayed in below print screen, the users can make notes on the right side of the window. The said Notes will be saved in the folder "Instavat Notes" automatically on your desktop. Can Insta ebook be read offline? Yes, once you download the Insta ebook you do not require an internet connection and can access the ebook offline. What are the technical requirements to download Insta Ebook? For best results, make sure your machine or device is Intel Pentium or equivalent processor with 1GB RAM and at least 500 MB Hard Disk Space. Can I take a print from the Insta Ebook? Yes, you can take a print from any of the downloaded Insta Ebook and use the data as and when you may need or deem fit for your information purpose. Sharing the data to anyone unauthorized or duplicating the data for sharing with third parties is barred and can lead to legal notifications. How do I contact Customer Care for any assistance? The users can click on the "help" icon wherein an e-mail id will be displayed. Users can send their queries and doubts to this id which will be replied by Instavat. Can I purchase more than one copy of e-Book? Instavat e-Book is single CPU license and is linked with e-mail id. It can be installed only on one machine. In case you need 2 copies of e-Book for a particular State, you can purchase e-Book by creating another login on Instavat portal. 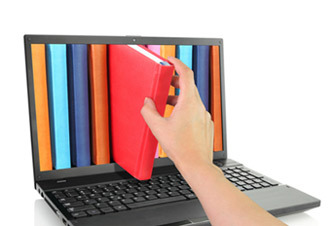 Select the desired ebook you wish to purchase as per your relevant state r commodity concerned. Follow instructions on the screen to fill in your payment details and make the payment. Once your payment is made successfully you will see a product id which is your purchase id and should be preserved for any future reference. The page will give you a link to download the desired ebook. You will also get the download link in your email used at the time of form filling. You can use any ebook reader software or download one offered by Insta ebook section to access the ebook. Double clicking on the installed Insta ebook will install the ebook in your ebook reader.